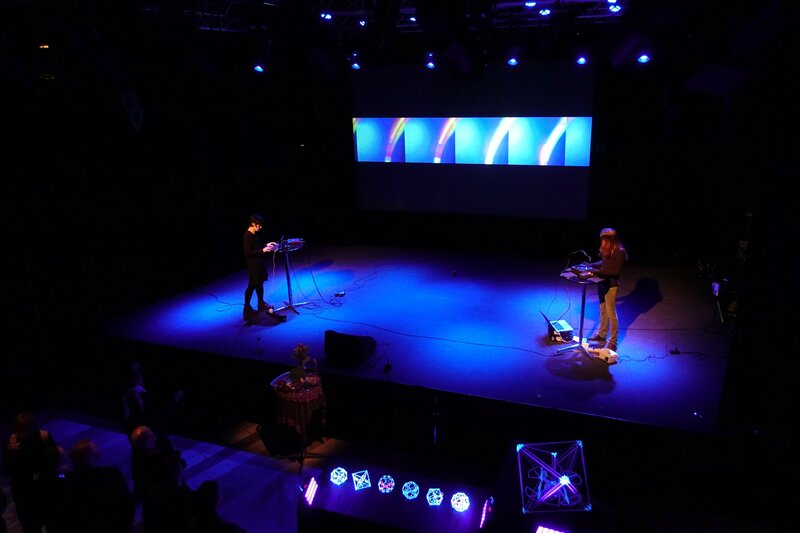 From left to right: Anna Xambó & Anna Weisling performing Beacon @ TEI 2018 (Kulturhuset, Stockholm, Sweden). Photo by Hiroshi Ishii. Transmusicking I @ Audio Mostly 2017. Oxford House Theatre. London, UK. August 25, 2017.
pulso @ Live Coding Sessions 2012. Niu. Barcelona. March 15, 2012.
pulso @ Minima Festival 2004. Live set @ Minima Festival. Gandía, Spain. May 29, 2004.
b4ng @ Sonar Festival 2002. Live set. SonarSonarama, Sonar Festival. Barcelona. June 13, 2002.